This three-song set features a 2014 tune called “Greens and Blues,” a song yet to make it onto a Pixies release called “Silver Snail,” and 1989’s “Monkey Gone to Heaven,” which melted hearts and seared minds with a new memory from a time long past. Without her backing band, the expressive, powerful singer previews songs from her new album, Burn Your Fire for No Witness. Watch her and you’ll see calm in her eyes; listen to her and you’ll sense torment in her heart. The Good Listener: How Can I Conquer A Musical Blind Spot? A reader discovers Devendra Banhart eight albums into his career. Where’s a new fan supposed to begin? 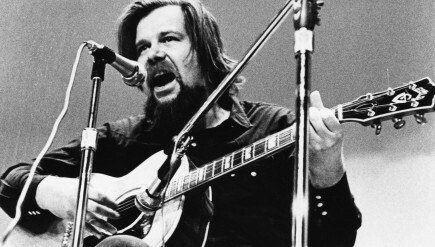 While the latest Coen brothers movie, Inside Llewyn Davis, isn’t a biopic, it is inspired by the life of a real person: the late Dave Van Ronk. He was a folk and blues singer and a central figure in the folk revival of the early 1960s. NPR’s Joel Rose has the story of the musician, who was known for his avuncular presence on the Greenwich Village scene. 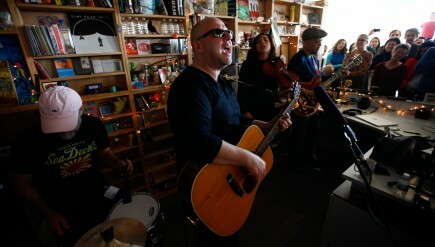 The recently reunited band’s funky, fleshed-out sound wouldn’t seem to lend itself to vastly stripped-down arrangements. But The Dismemberment Plan exudes playfulness and wry charm throughout these three songs from this year’s Uncanney Valley.